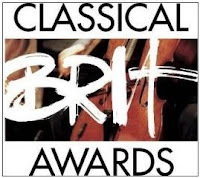 The Classic BRIT Awards is now in its twelfth year being established in 2000 to honour and recognise all forms of classical music from contemporary to crossover, opera to soundtracks and traditional to theatre. The 2011 Classic BRIT Awards will he hosted by Myleene Klass and this year for the first time a full theatrical cast will perform with Les Misérables led by Alfie Boe playing Jean Valjean. Russell Watson makes a welcome return to the event along with Katherine Jenkins and the group Il Divo. The 2011 Class Brit Awards are being held at the Royal Albert Hall on Thursday 12th May at 19:00.